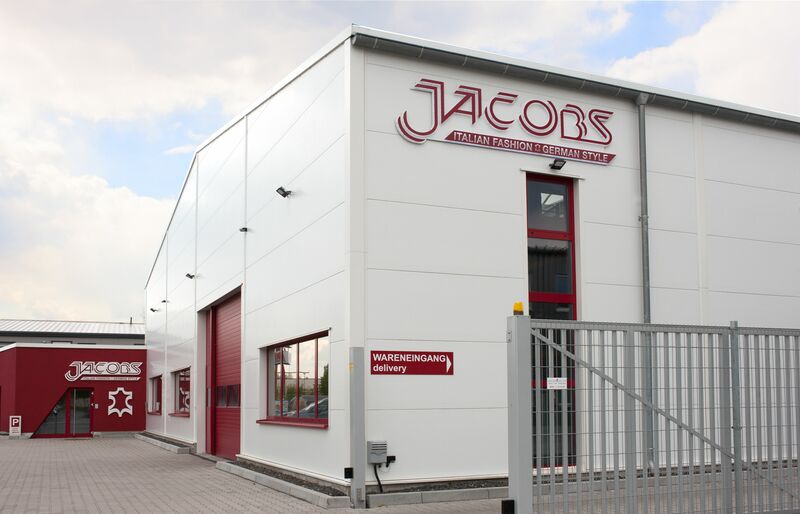 Jacobs GmbH stands for the connection between the demand for creativity and business at the highest level. For more than 50 years we are appreciated as a competent and innovative partner in the leather industry. We love the Italian fashion and design which we connect with German accuracy and thoroughness in order to meet our own demands and those of our customers. We advise our customers and business partners in a service-oriented and competent way. We offer a comprehensive spectrum of customized product solutions and services. We appreciate our employees as the pillars of our success. We promote and support them. We attach importance to sustainability, therefore we produce in a controlled manner in Europe. We are always there for our customers, even if it should give rise to any cause for complaint. We will find a solution. We attach importance to quality and feel responsible for it. The construction of the new company head office using ecological construction methods has been completed. 20,000 tons of CO2 per year can thus be saved. The workflows can be optimised and two large modern show rooms in the heart of the Rhein-Main metropolitan area (Frankfurt) are available to the customers. With the new building the urgently required capacities of storage areas and offices can be adapted to the growth. The extension of the own leather production to 99 per cent of the product portfolio is accompanied by a strong increase in turnover. This requires the construction of a significantly expanded new company head office. Extension of the production of leather and installation of the own research and development department. At the same time further development of the import and export of synthetics, fabrics and accessories. Bernd and Michael Jacobs join the company in the second generation. Start of the own contract manufacturing of leather in Italy. Trading in leather, synthetic leather, fabrics and accessories for the footwear, leather and belt industry. Trading in leather for the leather industry. Foundation of the company by Eberhard Jacobs as a sales agency of leathers for the furniture industry.